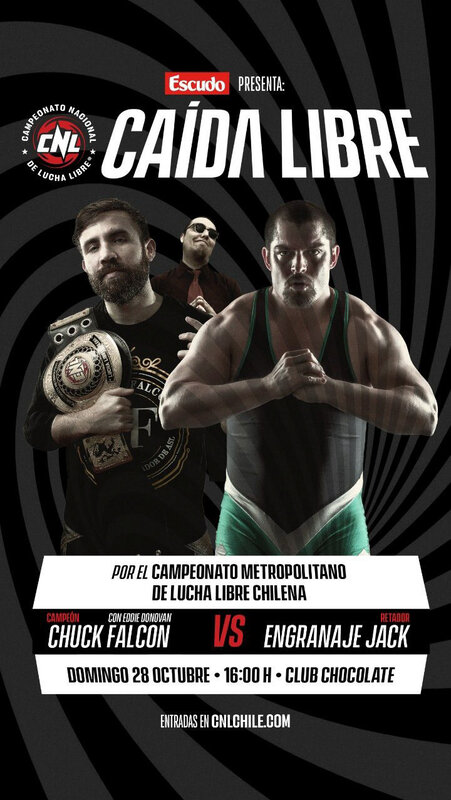 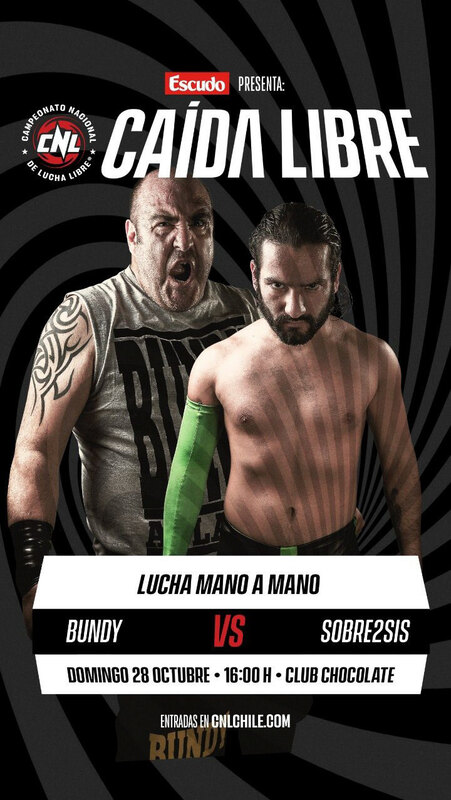 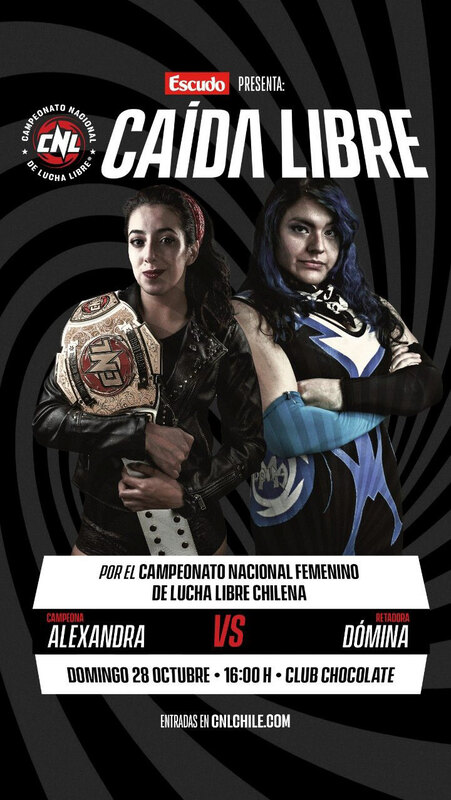 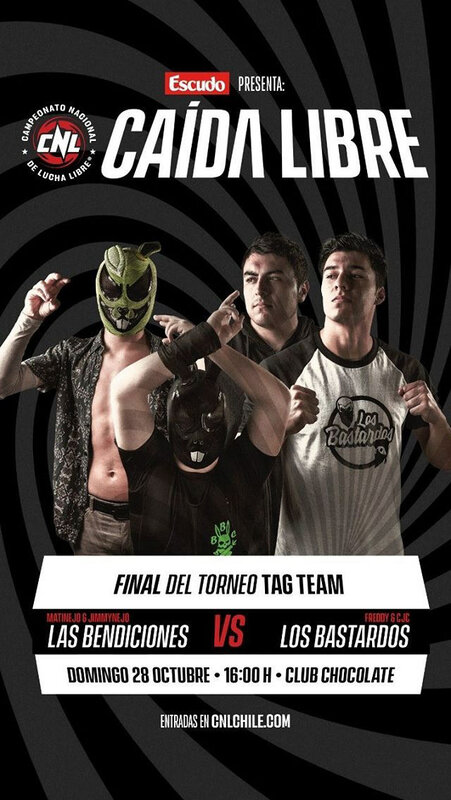 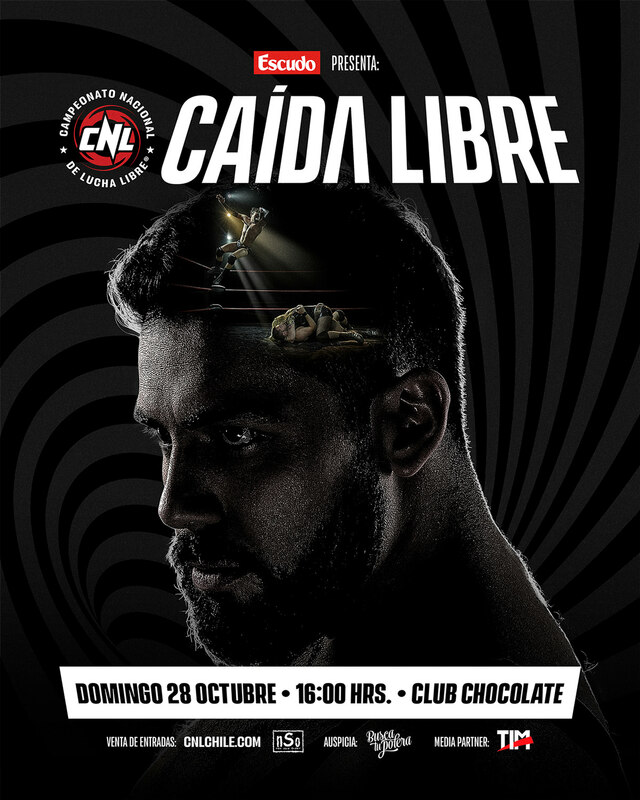 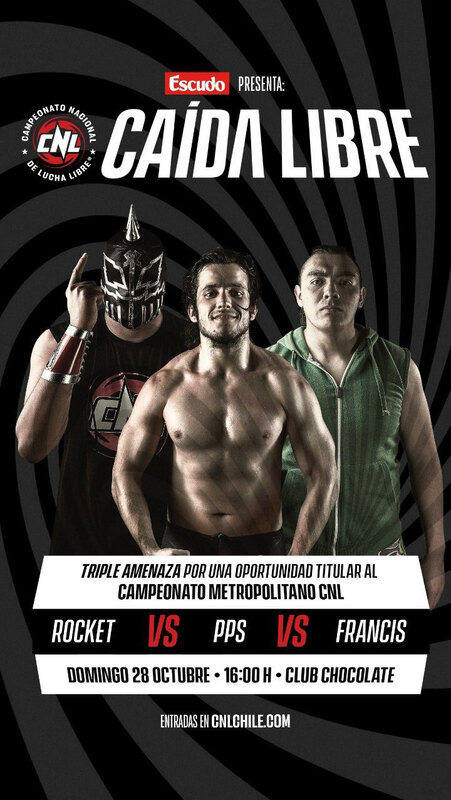 Key art poster for CNL: Caída Libre, the next show for Campeonato Nacional de Lucha Libre, Chile's mightiest pro-wrestling promotion. 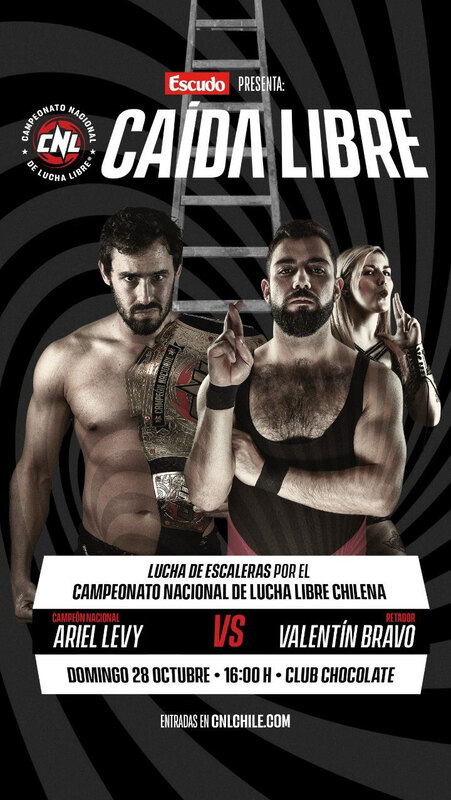 Valentín Bravo lost his title belt against Ariel Levy, and his girlfriend Roma was severely injured during the match. 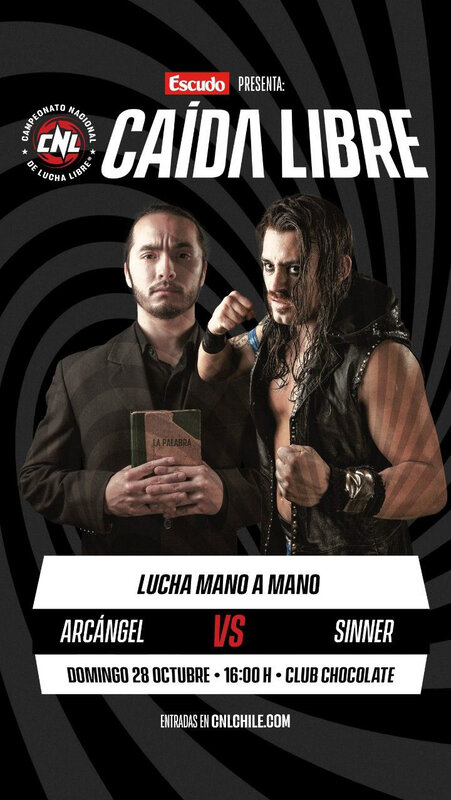 Now, he's got two objectives in mind: reclaim and revenge.